What did you think of The Caves? 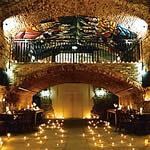 Very atmospheric venue - multifunctional space for weddings, bands, club nights. It may look gloomy, dank and unloved but that's what makes this unusual hotspot so charming. 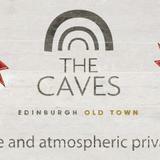 Hidden in a tiny cobbled side street off the rowdy area of the Grassmarket The Caves is a little cobwebbed cove. This ancient structure is steeped in history. Its vaults remained hidden for more than 100 years and have been restored by Norrie Rowan senior, the Scottish rugby internationalist and Grand Slam squad member, and his son Norman Rowan junior. You'll find the vaults in the belly of the cave which is gently lit by tea lights and church candles. Wherever you turn you're surrounded by cold, moist stone and the staff don't seem keen to change anything. If the ceiling drips, they let it drip. Be prepared for The Caves to weave you into its spell. For a busy club it's surprisingly relaxed and never seems to get too raucous and it attracts a young but respectful bunch. The Caves displays a more experimental and modern side with its music choices forcing the old surroundings to collide with today's trends. Music nights are fresh with modern jazz, African-infused world music, trip-hop and even more experimental offerings. The regular and ridiculously popular club night, Departure Lounge hosted by DJ Astroboy and Mr Zimbabwe, offers an intriguing mix of alternative sounds. 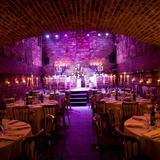 During Edinburgh Festival time it morphs into a live music venue, under the name of The Underbelly. Bars sit on both levels, each serving a fairly basic but extensive array of drinks. Alongside a good selection of draught beers and Guinness there's also a small choice of wines but its spirits' range is huge. Drinks start at around £3. The Caves dark, dank setting is the perfect setting for some underworld impishness.